David Herbert Donald. · One Book. One Author. One Hour. Lamb, Brian, 1941-, “David Herbert Donald.,” One Book. One Author. 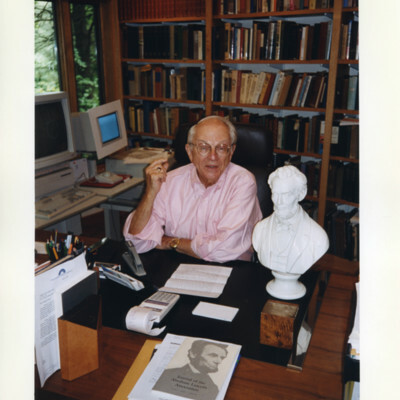 One Hour., accessed April 19, 2019, http://booknotes.gmu.edu/items/show/2916. 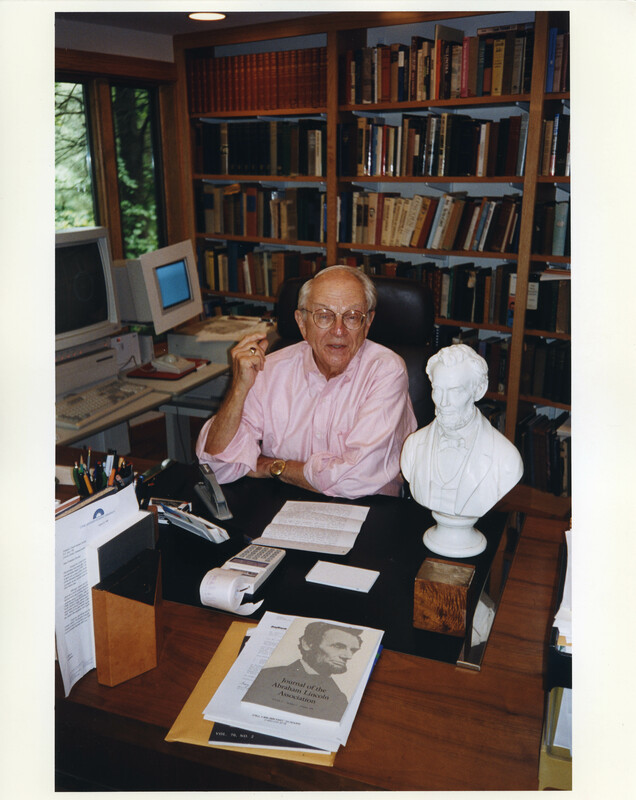 Lincoln biographer David Herbert Donald, surrounded by Lincoln books, a Lincoln bust, and other materials he used in his book. "When I drove to his house for the photo session, " wrote Brian Lamb, "I discovered that Mr. Donald really does live on Lincoln Road in Lincoln, Massachusetts."